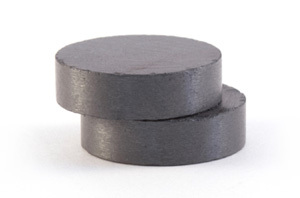 Electron Energy Corporation is a preferred supplier of ceramic permanent magnets. Also known as “hard ferrites,” ceramic magnets provide high resistance to corrosion at economical price points. EEC offers five different grades of ceramic magnets, including Ceramic 8B, the strongest ceramic material available. The high electrical resistivity of this material is another benefit, providing superior opposition to the flow of electric current.